Volkswagen AG is considering adding a second factory to its U.S. manufacturing footprint and could tap Ford Motor Co. plants to build cars, Herbert Diess, CEO of VW, said after a meeting at the White House. “We need additional capacity here in the United States; we need an additional car plant for VW and Audi combined,” Diess told reporters after meeting with President Donald Trump and trade officials. 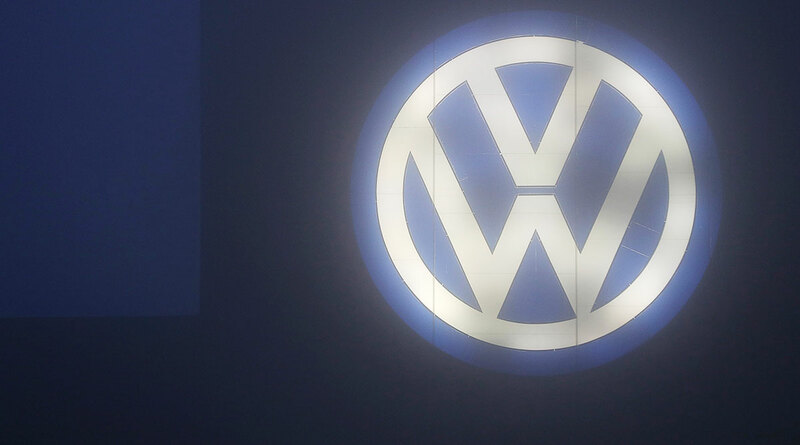 Diess also said VW is in advanced negotiations in Tennessee, where the company has a plant, about boosting its U.S. capacity but that there could be other options. A decision could be made early next year, he said. Diess was joined at the meeting by his counterpart at Daimler AG, Dieter Zetsche, and BMW Chief Financial Officer Nicolas Peter. The carmakers have found themselves in harm’s way as Trump wields higher tariffs as a cudgel to rebalance trade with China and the European Union. BMW and Daimler are the biggest car exporters from the United States to China, while VW’s two most profitable brands, Porsche and Audi, would get hammered if Trump follows through with a potential 25% levy on imports from EU. The three carmakers have no official role in the overall trade talks between U.S. and EU trade officials, and stressed that at the end of their meetings. The companies are trying to avoid becoming entangled in the talks, but they accepted the invitation extended by a Trump administration eager to jump-start progress on its highest priorities. “We said in general terms that our planned additional investments here that are not commercially sensible, per se, of course would have to be part of a larger understanding and for that the conditions under which we operate cannot change. That was very well understood,” Zetsche said. The White House is looking to whittle down a $30 billion automotive trade deficit with Germany with increased production in the United States, Commerce Secretary Wilbur Ross said ahead of a meeting with automakers in Washington on Dec. 4. It’s the biggest single chunk of an overall $65 billion trade deficit with the EU. “The president shared his vision of all automakers producing in the United States and creating a more friendly business environment,” White House spokeswoman Lindsay Walters said. Daimler, the maker of Mercedes-Benz luxury cars, produces vehicles in Tuscaloosa, Ala., shipping many of its SUVs made there to China. Daimler has about 3,700 employees at the U.S. site, which can churn out more than 280,000 vehicles per year, including GLE and GLS SUVs for global markets and C-Class sedans for North America. Ford and VW have been in talks for more than a year about the German automaker investing in Argo AI, the American automaker’s self-driving technology partner, to jointly develop autonomous cars, according to sources familiar with the discussions. The two automakers also are considering tie-ups to produce electric vehicles and share manufacturing in regions around the world, the sources have said. In June, VW and Ford said that they were considering a strategic alliance focused on a range of commercial vehicles.